The second big project in my Principles of UX class was to choose another eCommerce site that could use improvements in the user experience. 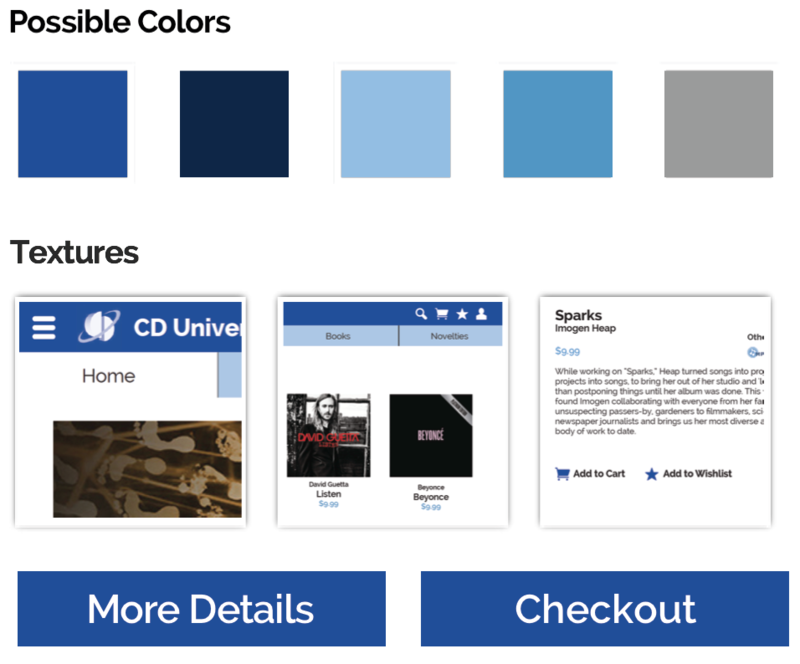 Back in the nineties I used to order a lot of CDs off CDUniverse site, so I figured it would a fun website to redesign, since I have a personal connection to it. Here is a screen cap and a bit from their about page. 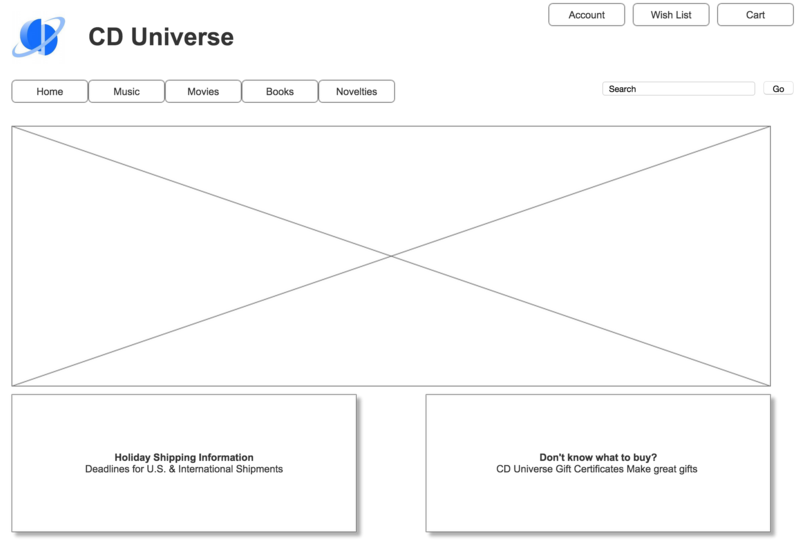 I created a series of responsive wireframes to layout the basic functions of my proposed redesign of CD Universe. This was my first time using Axure to create interactive wireframes. 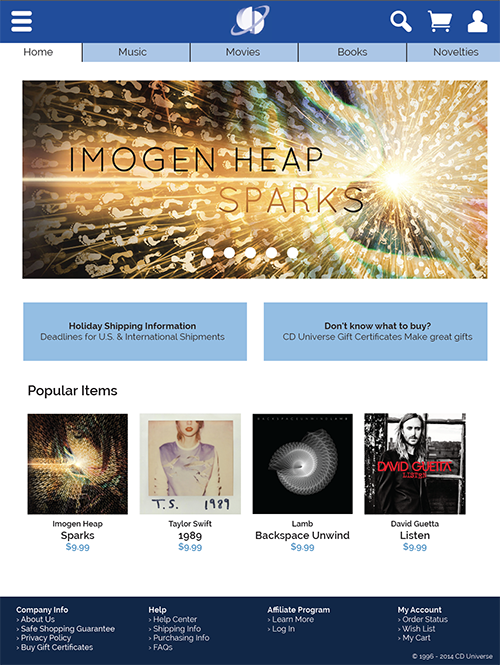 We were asked to create wireframes for the home page, category page, product page, and checkout. Our schematics were requested to be in three main breakpoints 1024, 768, and 480. Going forward the design was be based off this responsive design format which includes the various size layouts. 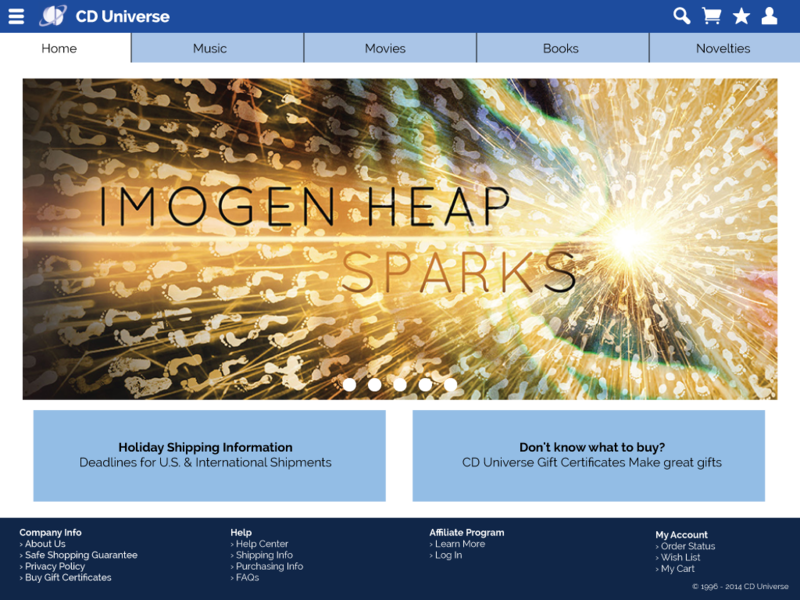 CDUniverse.com was established in 1996 & is a leading internet retailer. They specialize in the sale of domestic & imported CDs, movies and video games. It has an extensive catalogue of products, but suffers from an outdated design and poor user experience. The user demographic mainly consists of music collectors in their 20s-30s. Customers are often looking for imported CDs that contain content not available on domestic releases. The next phase of the project we worked with web content and its importance in a display environment. I used my wireframes to determine how the content will be handled. The rough interactive wireframes gave me the idea to use use icons for the cart and account links in the top navigation header. I wanted the design to respond to the appropriate device the site is being viewed on. The company name and logo on the desktop layout, and just used the logo on the tablet and mobile layouts, as to maintain a clean and sleek and uncluttered look. For more insight into the creative process of this project, read this blog post.